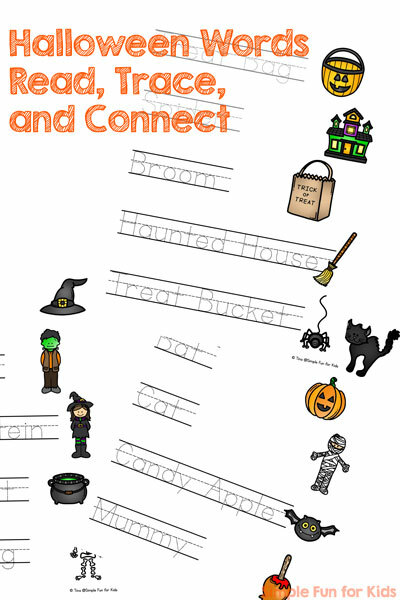 If your kids liked last week’s Fall Words Read, Trace, and Connect, I’m sure they’ll enjoy this Halloween version: Halloween Words Read, Trace, and Connect Worksheets! 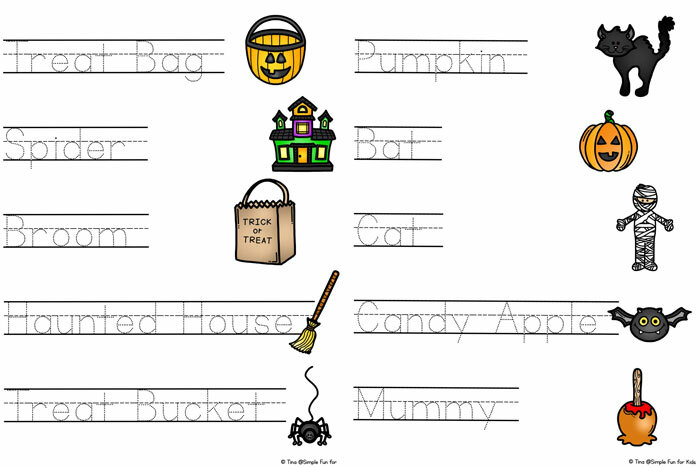 Your kindergarteners or first graders can read Halloween words they’ve seen before or can figure out with a little help, trace them to work on handwriting, and draw lines to connect the words to the matching images. This is a three page, no-prep printable. Simply print and use if you’re in a hurry, or take the time to laminate if you want to be able to reuse the worksheets. The three pages can be used together or individually. There are 15 images in all, five to a page: Pumpkin, bat, cat, candy apple, mummy, treat bag, spider, broom, haunted house, treat bucket, witch, witch hat, cauldron, Frankenstein, and skeleton. 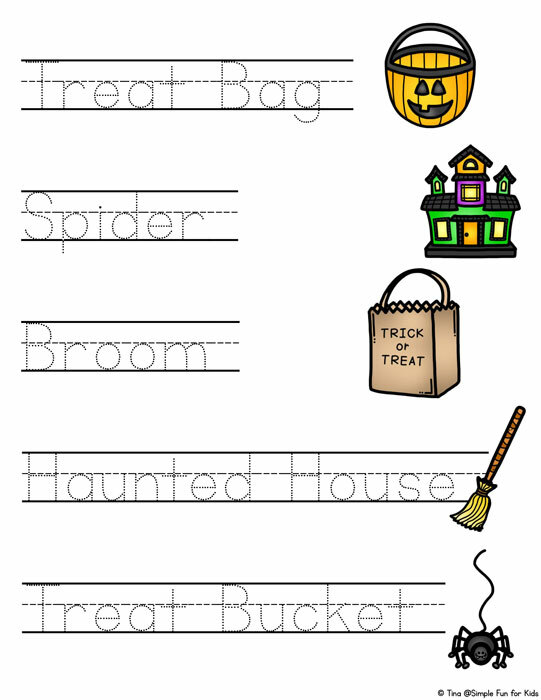 Download your Halloween Words Read, Trace, and Connect Printable! to download several printables at once! Halloween Matching Game for Toddlers uses the same set. Do your kids love learning activities? 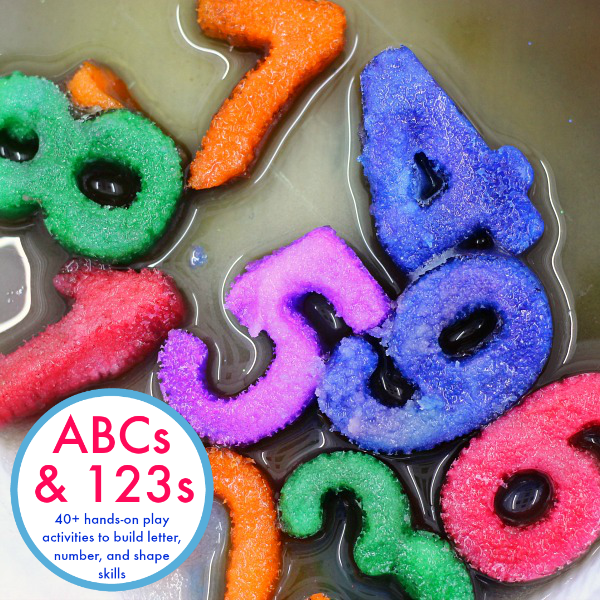 I've co-authored the ebook ABCs & 123s that includes 40+ learning activities for a huge range of learning objectives for kids from age 2 to 8 that I think you'll love! Click here to find out more and to buy it right now for immediate download. You could be doing the activities within minutes!